Last weekend, I headed out to the library to get three books for the husband and brought home an additional three books for myself. So much for my one book out at a time from the library rule. In my defense, two of those books were graphic nonfiction, which don't count, simply because one sitting is all I need to get through them, and then it would be pointless to keep going back and forth for the next three days. Not that a library visit is unpleasant. Marbles: It certainly took a long time for this graphic book to show up at my library. Ever since I heard about this one a year or so ago, it has been on my wishlist. I am a fan of first person narrative stories by people who are suffering from a mental disorder. It's a strange thing to be a fan of - it is certainly unpleasant to be the one suffering, it's also rarely cheerful. Also, with books like that, it helps to know in advance that the narrative could be unreliable, at least some times. 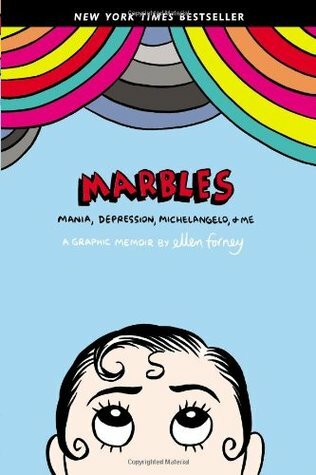 Marbles is about Ellen Forney's struggle with bipolar disorder and how she started off feeling like it was not something she wanted to address to how she has learned to control it and want it gone. 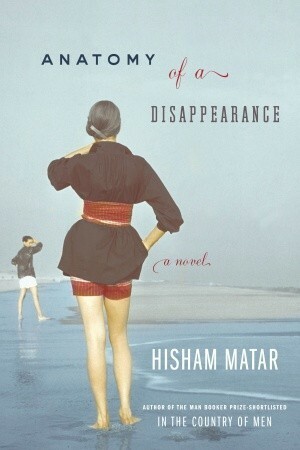 Anatomy of a Disappearance: Hisham Matar has been on my must-read list for a long time, ever since I started blogging. I didn't know much about his books except that the reviews I read always sounded so good that I had to read the book. I am about a quarter of my way in and while it is quite intriguing, it is also not living up to the hype I had raised it to. The book is however very atmospheric and it is hard not to want to visit Geneva and Cairo after reading this book. Calling Dr. Laura: There are a lot of novels dealing with adult characters suddenly finding out certain truths about their parents, sometimes even tiny details such as that they are still alive and not dead as previously thought. Calling Dr. Laura is Nicole Georges story of such a revelation. Coming across a nonfiction book with a premise like that makes the story several times more fascinating. I am even more intrigued that this is a graphic book! What is on your nightstand? 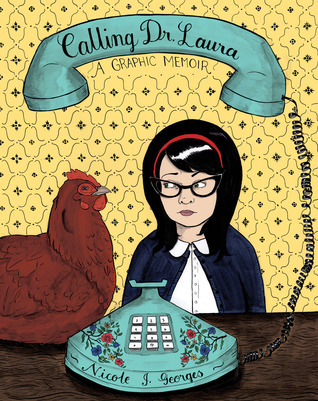 Love the cover of Calling Dr. Laura. I seem to be on a nonfiction roll and hope the library has a copy of this one! I've actually read both of those graphic memoirs. Anatomy of a Disappearance looks interesting. I love graphic novels (non-fiction ones too) and I hope I get to read more this year. Last year I think I only read one! Can't wait to hear what you think of the ones you checked out. I had checked out Calling Dr. Laura last year but didn't finish it before it was due back. I enjoy reading graphic novels, but so rarely read them. I have a few on my TBR shelf by my bed I keep meaning to get to. I keep thinking I'll get to them when I have a large enough junk of time to sit and read one or two, but that never seems to happen. I've heard of the first and last, but not the middle one. They all sound good. Calling Dr. Laura was a good read. I hope you enjoy it! Now that you mention it, I think I added both books on your recommendation. I hope you get to read Calling Dr. Laura again. It was a good read. I try to read at least one graphic novel every week. It gets me reading during weekdays. I find that I read graphic novels when I don't have much time to read anything. They read quick plus don't require you to remember too much about where you left off. How will we fare in a dystopian world? When was the last time I read a book without distractions? This stuff is so disturbing! Ergh! I didn't like this book! Has a book ever changed your life? Copyright 2009-2017 Reading on a Rainy Day. Powered by Blogger.